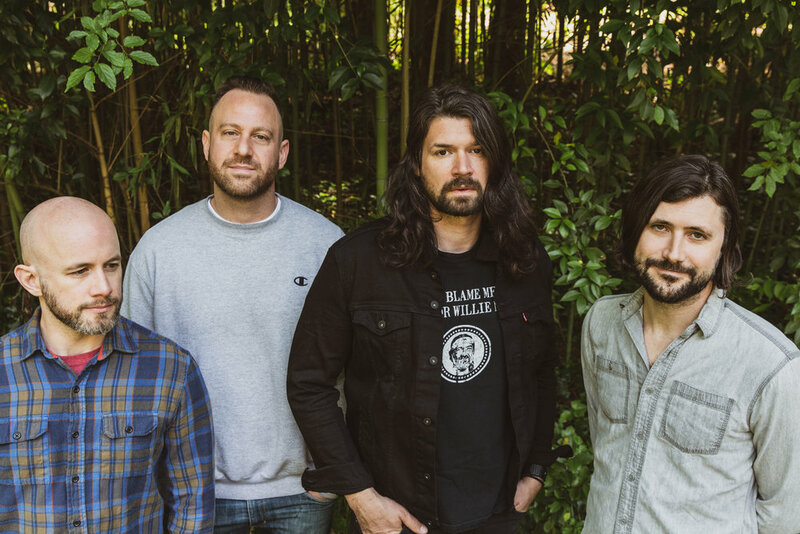 Tidal Wave also marks the first time that Taking Back Sunday wrote in the studio as they recorded and having that type of fluidity when it came to the songwriting also lent itself to heightened collaboration and creativity throughout the process. “It was really amazing to be able to write in the studio because we could come up with an idea, perform it and then listen back to it immediately instead of feeling boxed in by what we did on demos,” Lazzara explains. “Every song was up for being changed or rewritten when we were in the studio, which was an approach that Adam really encouraged, and nothing was ever set in stone in the sense that if someone had any idea for how to make a song better we would give it a shot,” Nolan adds. “That approach has potential to be really disastrous but we were fortunate enough to see everything through and use our collective judgment to take things to the next level.” Nolan specifically cites ‘Homecoming’ as a song the band constantly kept returning to in order to finally achieve the version that’s present on Tidal Wave. In many ways the album showcases the strengths of Taking Back Sunday’s musical evolution from the blazing opener “Death Wolf” to the orchestrally tinged ballad “Fences” and syncopated anthem “Call Come Running.” However as stated earlier there are also plenty of surprises on Tidal Wave such as the four-on-the-floor title track which sees them channeling the Clash both sonically and energetically. “I think this idea of making songs that we wrote for ourselves started with Happiness Is and since the reaction to that album was so positive it really encouraged us to take that a step further with this album,” Nolan explains. Furthermore songs like “You Can’t Look Back” see Lazzara taking his vocals to stratospheric new levels in order to elevate these songs to a whole other plane of existence. “In the same spirit of being fearless when it came to the music, I tried to lean on the influence of some of my favorite singers on this album,” Lazzara explains. Case in point, during “Holy Water” it seems as if he is digging so deep that the song is the sonic equivalent of a bittersweet punch to the gut. In other words when Lazzara sings, “It’s taken me all this time to see… I’m coming home” on the acoustic showstopper “Homecoming” it’s not just about geography, it also parallels the next exciting chapter in Taking Back Sunday’s career. Welcome back, guys.